This atarah is a nice addition to the regular cloth atarah. 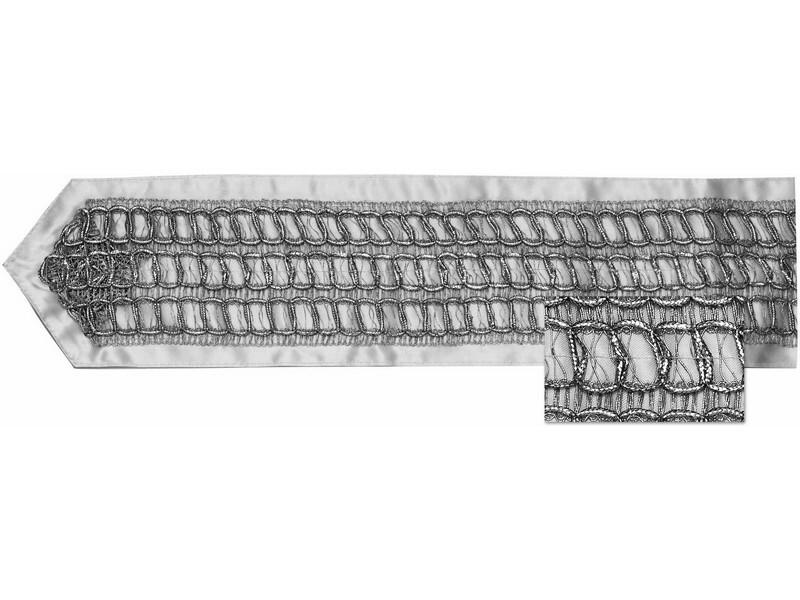 The atarah is comprised of rows of silver color metallic thread, each sewn in a link pattern giving it a woven look. The atarah is flexible enabling easy fit to the wearer’s head and body even when moving around, as well as making folding neat and easy.